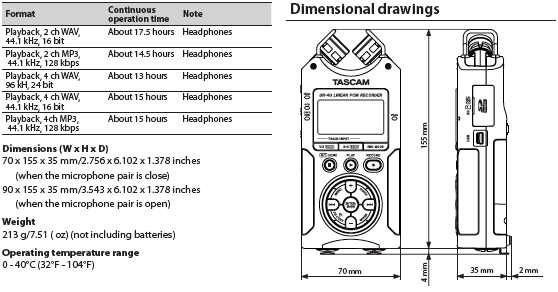 The TASCAM DR-40 four-track portable SD recorder offers adjustable built-in mics, balanced XLR inputs and extended battery life to give you the flexibility you need to record tracks anywhere. It also features a pair of great-sounding TASCAM microphone preamps with phantom power, recording at up to 96kHz/24-bit resolution. • DUAL: Record a stereo signal with a copy of that stereo signal at a lower level. This gives you a safety track you can use in case the main recording is distorted. 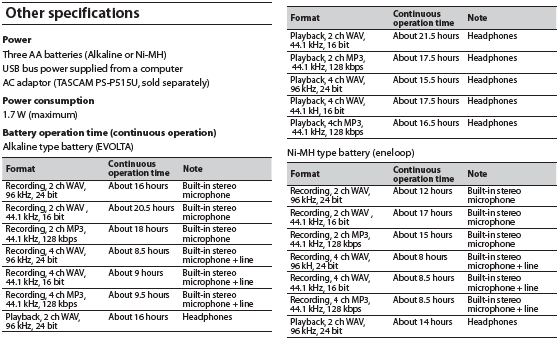 • 4CH: Record the built-in microphones along with a pair of external mics, like close-up and ambient microphones. Or record the built-in mics along with a balanced line input, such as the feed from a mixer along with the sound in the room. • OVERDUB: Play along with a recording you've already made to build up a full production or song demo. You can record up to four channels of 96kHz/24-bit audio. Mono and stereo recording is also available. The DR-40 also offers a simple, easy to use menu system, mini-USB 2.0 connectivity for high-speed file transfer, a limiter and low cut filter for cleaner takes, a reverb effect for a more processed sound, a built-in speaker for fast monitoring and much more. A tripod mount, a mini USB 2.0 cable and a 2GB SD card are included. Not sure which recorder works for your needs? 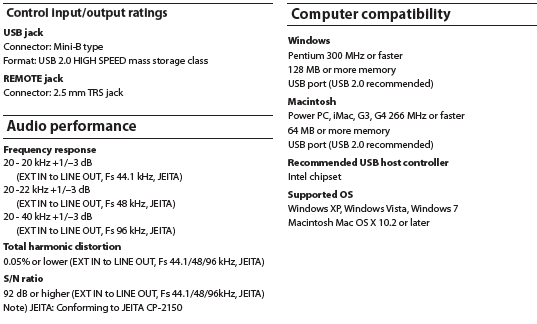 Compare all of our recording devices features and specs with ease right here!.